Converting from PC to CE is more complicated. Let me know if these diagrams are at all wrong (I'm pretty sure there's at least one mistake). I'll fix it the next time I update the diagrams. You must really like making these flow charts. Well, there are some maps on HaloMD that do not work on Halo PC due to using a broken version of Pearl 2. It's easily correctable in a hex editor. I think he should take screenshots of his flowcharts and start an art gallery for them. Is it possible to convert PC map to Mac format? They are the same format. 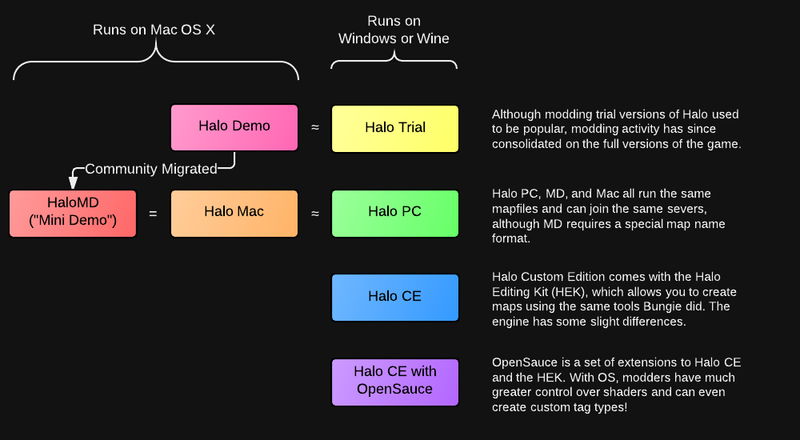 Phoenix 3, for example, works on both the Windows and Mac versions of Halo (can only be hosted with HaloMD if on a Mac). However, some errors in a map may prevent the map from working on different versions of Halo. You'll also find that stock Halo PC maps are identical between Mac and Windows. It should also be known that HaloMD maps and other custom-named maps require HAC2 to function on the Windows version of Halo. I modded BG (PC) and sent to friend, who has a Mac, he says he can't load map? He placed into his map folder. It doesn't show as a map in the list of choices. 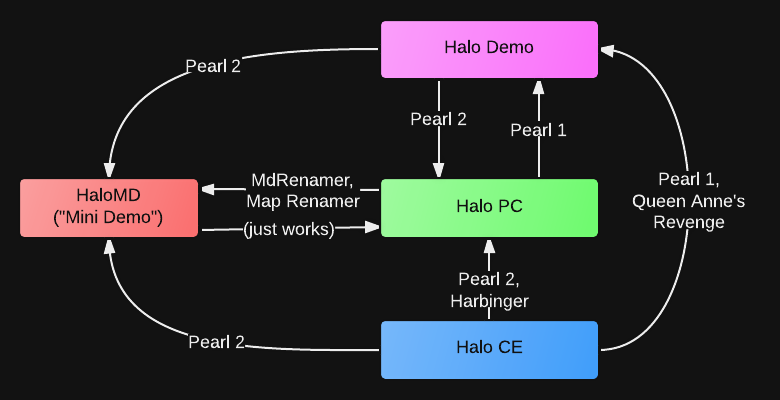 The Mac version of Halo doesn't have HAC 2, so one cannot seamlessly drag and drop a map and host it unless they use the map name of a stock map (filename and inside the map header). You'll have to rename the file as one of those, then rename it in the header with a hex editor. Alternatively, you can edit the executable. These steps are only required if the player is hosting the map. The player can join a server with the map simply by dragging and dropping into the maps folder. Ok.. That makes sense. Thank you! 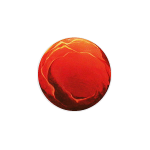 Forgot to mention: If it's just Blood Gulch and you haven't renamed it at all, make sure the file name is bloodgulch.map, and replace the bloodgulch.map in the maps folder.